At NASA Glenn this 72-ft vacuum chamber is being readied for an ion thruster propulsion test. 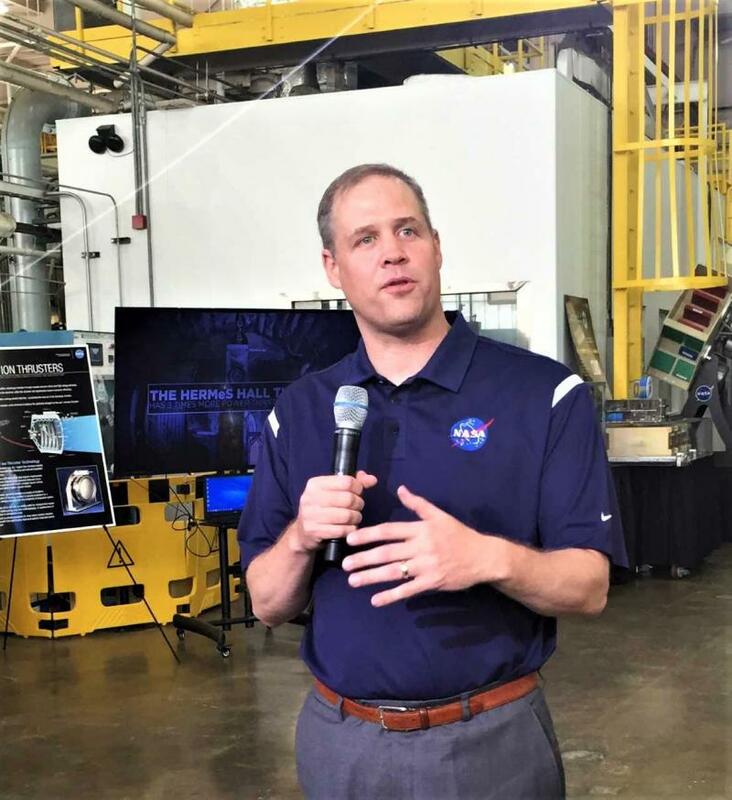 The new head of NASA is saying good things about the NASA Glenn Research Center in northern Ohio. NASA Glenn and its sister facility, Plum Brook research Station in Sandusky employ more than 3,500 people, and a Cleveland State University study in 2016 showed the facilities contribute $1.4-billion in economic activity to the region.